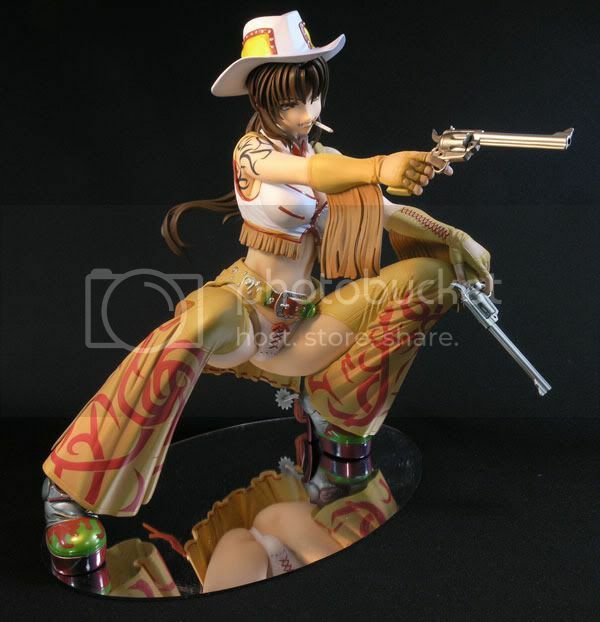 Multiseven et Cetera: Preview: A-label's 1/4 Revy Cowgirl ver. A-label is going to release the Revy Cowgirl version 1/4 PVC figure from the manga/anime Black Lagoon. This figure will be released in April 2011 around 9,540 yen. Wow, Revy is back in action! This figure is sooo big and can be a perfect rendition of Revy in every detail - right down to her tattoos! This figure is a must have for every Black Lagoon fan!